Discussion in 'Mobile Tips/Plans and Internet Discussions' started by yomitech.com, Nov 30, 2016. It's not even December yet and MTN has already started taking actions. It no more news that NCC has mandated the telecommunications companies in Nigeria to increase the price of data plans starting from the 1st of next month December. 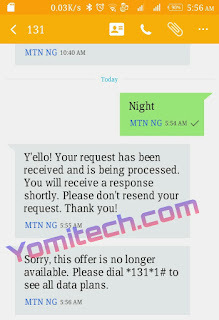 A lot of customers are already looking for better alternatives and many MTN users have already concluded that the MTN night plan will be the best option at this point in time. But unfortunately it seems MTN is already a step ahead as they have already discontinued the plan. So if you happen to be one of those who believe the night plan will be your savour, it looks like MTN just played a fast one on you. We all just have to wait until 1st of December to know the big announcement NCC and the telcom operators have for us. Can i get a test data?quote="Kingdata01, post: 1035672, member: 216049"]Trusted Data Plans:- Data Bundle Reselling Company; we have been offering data bundles since 2014 and are verified and listed by Quickteller and Cashenvoy for Online Payment processing. 1. Choose data plan you want to buy. These Prices are valid if you are‎ paying via Airtime. Trusted Data Plans:- Data Bundle Reselling Company; we have been offering data bundles since 2014 and are verified and listed by Quickteller and Cashenvoy for Online Payment processing. For every Help provided From 7th December 2016 till 31st December 2016, you receive a 20% accrued bonus. Example you PH N100,000 u get rewarded with a Xmas bonus of 20% of Ur N100,000 which is N20,000 it will grow to N26,000 and Ur N100,000 grow to N130,000 after 30days. What more can u ask for........ Mehnnnn MMM is doing it big! 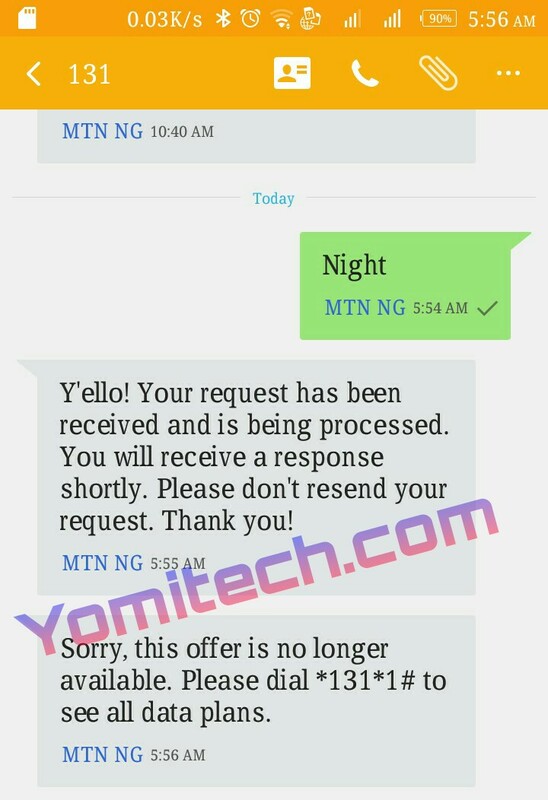 The mtn midnight data plan is back..
Just try this, it worked for me. Click to open this link and instantly get 250mb and 30min free call (applicable to all network) its free! There is no harm in trying, it's totally free!!!!!! Senate has approved data hike again. No one should try buying from him, h3 is a scam, h3 askes for airtime, or u pay part payment to make u feel he is for real, once u do that, it's gone.